We stand with the Japanese people in the ongoing disaster recovery and condemn the use of relief funds to promote the Japanese whaling industry. We demand the Japanese government immediately end all whaling subsidies and instead prioritize the immediate relocation and assistance of families still suffering in the aftermath of the nuclear disaster and tsunami. 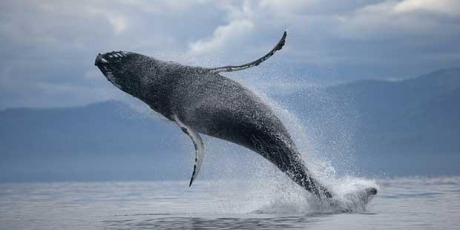 Right now, the Japanese whaling fleet is barrelling south to hunt thousands of majestic whales, escorted by a 30 million dollar security force paid for out of the tsunami disaster relief fund! Anti-whaling champions were successfully blocking the Japanese whale hunt -- which is exactly why the Japanese government decided to swipe money from relief efforts to stop the activists from bothering the boats while they engage in their brutal slaughter. If we can stop the whaling security and get the relief money back for desperate Japanese citizens still languishing in radioactive hotspots, we could help end the whale hunt for good. Japanese PM Noda is already under enormous pressure after scandalous failures to compensate victims of the nuclear disaster. A massive global outcry can spark outrage inside and outside Japan and force Noda to use precious relief funds to save people, not kill whales - sign the petition on the right and share this campaign with everyone.